Electronic noses, in short eNoses, are compact instruments comprising a sensor array that respond to small variations in the reactive gas concentration in ambient air. Industrial gas emissions often hold a certain amount of reactive trace gases that can be detected by eNoses. eNoses are exposed to the ambient air continuously ‘sniffing’ the environment and give qualitative information about the air composition. Multiple eNoses on a parameter linked together form what we call an ‘eNose network’. eNoses are online connected to a remote computer system via a wireless data communications link. Software on the remote computer interprets the signals registered by the eNoses in real-time. A software agent automatically triggers an immediate alert when the eNoses detect a change in the air composition that has the likelihood of being malodorous or may pose other gas related safety risks. The eNose detects changes in the air composition in its vicinity that have the potential to pose a risk of odor nuisance or other gas related risks. By inserting alert levels, the eNose will warn about anomalous air conditions. eNoses create signal patterns that correlate to the exposed gas mixture. It endeavours to assess the nature of the gas composition that caused an unusual air composition. eNoses are more sensitive to many gas emissions than the human nose. 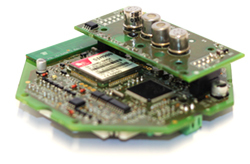 eNoses comprise an array of semiconductor sensors. These sensors are non-specific by nature. Due to the fact that we use 4 sensors that are all responsive to reactive gases, the 4 sensor signals create a pattern that correlates to the exposed gas mixture. The foundation of the eNose is to compare the signal patterns to a set of reference patterns such as fuel oil vapour, crude oil vapour, H2S-rich vapors and many more. The technology that has been developed for online monitoring is modular. Each module is a building block that can be integrated with other building blocks in order to create a standard product as well as dedicated one-off projects in an extremely efficient way. The signal pattern created by the eNose is called the ‘fingerprint’ of the exposed gas. 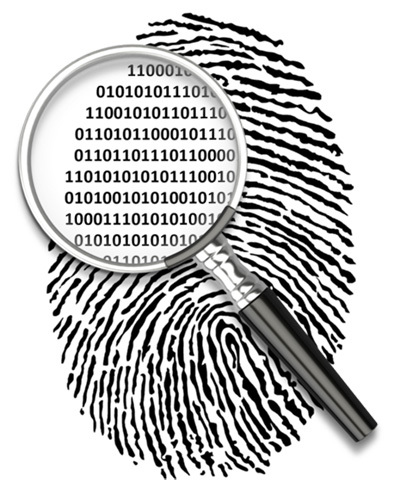 These fingerprints are compared to reference fingerprints in the fingerprint database. If an appropriate fingerprint is available the gas or odour type of the reference fingerprint is assigned to the actual eNose recording and a ‘match’ can be made giving more detailed information about the air composition. In order to train the eNose and to fill the fingerprint database, the sensors are exposed to known concentrations of a wide variety of gas emissions in laboratory conditions. The sensitivity of the sensors is tested resulting in an output signal called the reference fingerprint. The eNose itself is a compact instrument that consumes 2 Watts electrical power (<50 Watts/day). 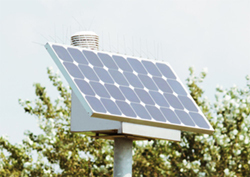 It can be powered by the main power grid or the street lightning grid can be used for power supply and mounting. 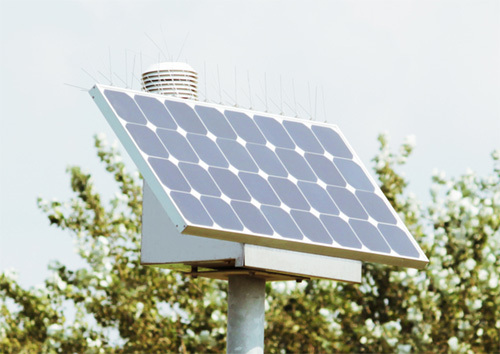 In case of the latter, the eNose is attached to a battery pack that recharges every time the grid is powered during nighttime and discharges at daytime. The capacity of the battery pack is optimised to power the eNose 24/7. If these two options are not available, the eNose can also be powered by solar energy using a solar panel. 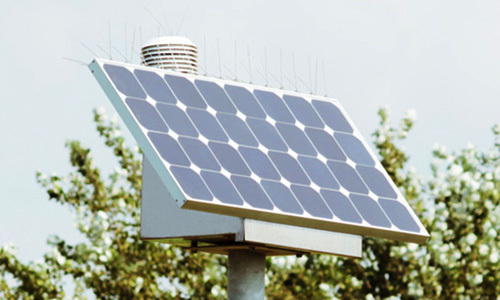 During the daytime the solar panel powers the eNose and charges a battery pack for overnight operation of the eNose. 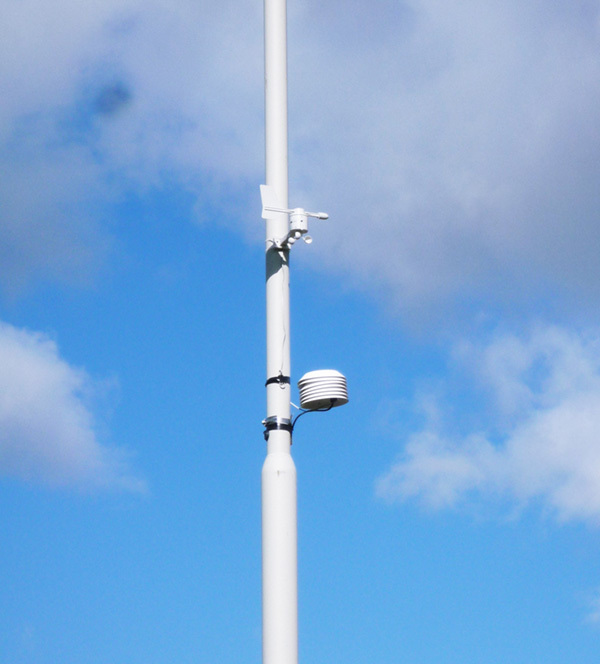 Optional, a wind sensor can be coupled to the eNose. 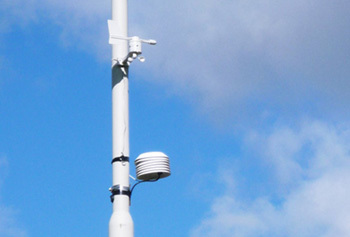 Collecting wind data is required for source tracing and emission dispersion tracking. 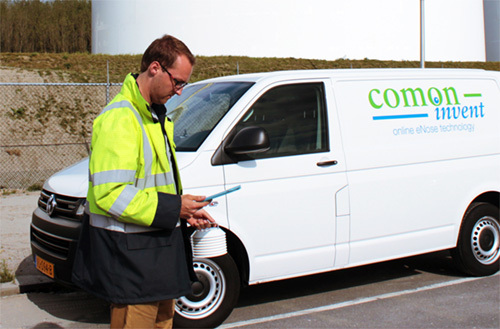 Compliant with NTA 9055: Netherlands Technical Agreement for Air quality – Electronic air monitoring – Odour (nuisance) and safety. Electronic noses, in short eNoses, are compact instruments comprising a sensor array that respond to small variations in the reactive gas concentration in ambient air. Industrial gas emissions often hold a certain amount of reactive trace gases that can be detected by eNoses. eNoses are exposed to the ambient air continuously ‘sniffing’ the environment and give qualitative information about the air composition. Multiple eNoses on a perimeter linked together form what we call an ‘eNose network’. eNoses are online connected to a remote computer system via a wireless data communications link. Software on the remote computer interprets the signals registered by the eNoses in real-time. A software agent automatically triggers an immediate alert when the eNoses detect a change in the air composition that has the likelihood of being malodorous or may pose other gas related safety risks.